Back in December we had our friends with Time Inc. over for a few days at our film studio rental space to do a special time lapse product shoot for bedroom pieces. 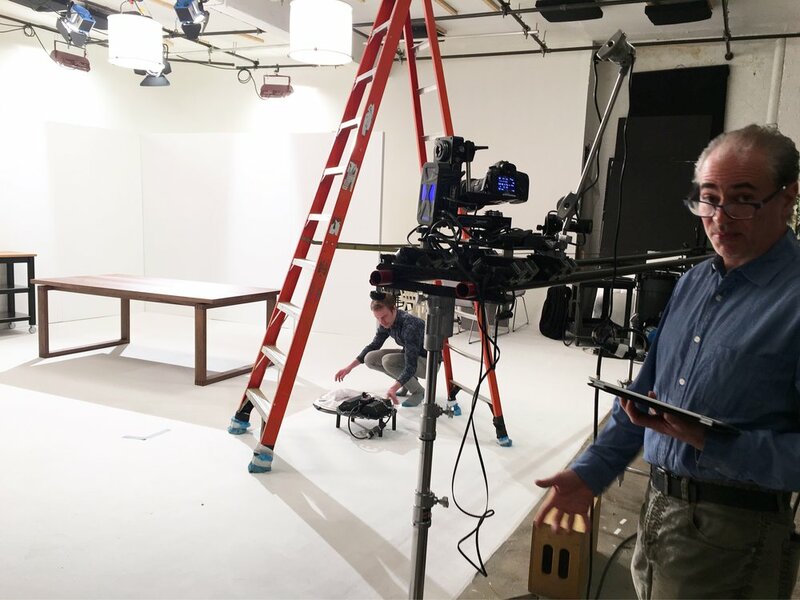 This week they are back at our production studio for the week with director Matthew David Wachsman to focus on a new line of IKEA dining room, living room and outdoor patio furniture for the new season. Similar to their last project here, they are capturing each look with a stylized hyper lapse in 28 minute shots to show their customers interesting ways to set up their home using different variations. It's been interesting to watch the constant flux of the art department moving things around to achieve this goal on our cyclorama without the use of a greenscreen to superimpose each idea. Always a pleasure housing such innovative work.